Members of the Long Beach Fire Department on the scene of a fire at El Dorado Nature Center, near Willow Street and the San Gabriel River. Photo by Stephen Carr. The man suspected of intentionally setting fire to trails in the El Dorado Nature Center twice last week has been charged with arson. Armando Vasquez Herrera, 43, pleaded not guilty to the charges on April 5, according to court documents. He is being held in lieu of $75,000 bail. Prosecutors believe Herrera “willfully, unlawfully and maliciously set fire to and burn and cause to be burned a structure and forest land located at San Gabriel River and East Willow Street,” according to court documents. One small fire was started in the area around 2 p.m. on April 3, which firefighters quickly knocked down, according to Long Beach Fire Department spokesman Matt Dobberpuhl. A second, bigger, fire started shortly before 5 p.m., prompting a two-alarm response. The second fire shut down a stretch of westbound Willow Street for hours as crews worked. Firefighters extinguished the blaze within an hour, knocking down spot fires that had erupted within the center. Herrera is suspected of starting both. 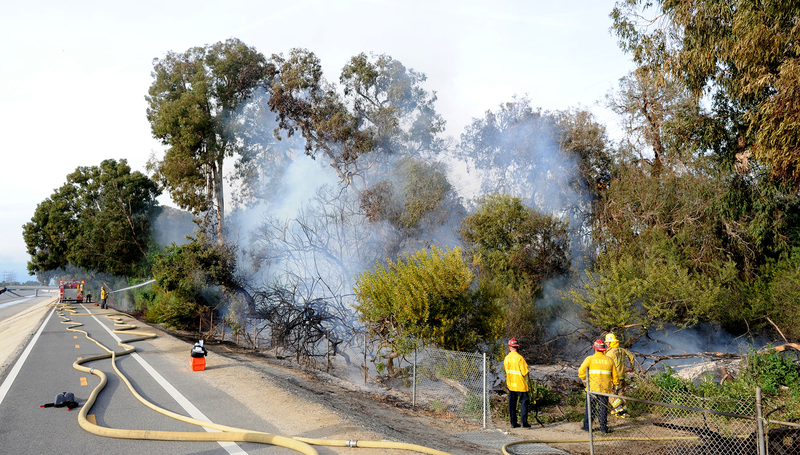 Combined, authorities allege he burned 1.5 acres of land, damaging old eucalyptus trees and fencing. “It’s difficult to estimate damages because you’re dealing with older, more valuable trees,” Dobberpuhl said. He said current estimates of the damage are believed to exceed $20,000. The fires also displaced coyotes that lived in a den nearby, he said. Authorities believe Herrera was homeless at the time of the fires. Investigators arrested him shortly after the blaze, according to authorities.